PR Valves provides a wide selection of valve types to meet our client's needs. PR Valves specializes in Angle Valves, Ball Valves, Bellowseal Valves, Boiler/Non-Return Valves, Butterfly Check Valves, Diaphragm Valves, Gate Valves, Global Valves, Needle Plug Valves, Pressure Seal Valves, Steam Traps Valves, Steam Jacketed Valves and Strainers(Duplex, Simplex) Valves. No matter the type of valve you are seeking, PR Valves can assist you with your needs. We support a wide range of diverse industries across the world. The same expertise applied to the design & manufacture of valves for the Industry extends to our Specialist Ball, Gate & Check Valve Ranges. These valves are used in all environments, including corrosive material handling applications & by a wide range of industries worldwide, including among others: Oil & Gas, Pharmaceutical, Petrochemical and Chemical. PR Valves provides a wide selection of valve brands to meet our client's meeds. PR Valves stocks brands such as ABZ, Apollo, Cameron, Contromatics, Edwards, Flowtek, Hancock, Kitz, Lunkenheimer, Orbit, Pan Korea, Sarco, Smith, Titan, FBV, UNP, Kinka Kikai, Walworth, Steam Jacket and Yarway. Our warehouse is loaded with the brands you need, quality valves and the demand that meets our clients' needs. 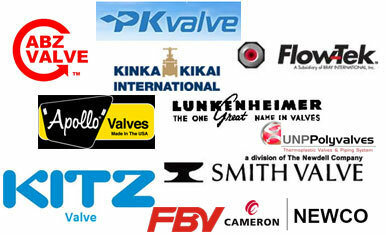 Look no further than PR Valves for a wide selection of valves and brands of valves. PR Valves provides a wide range of valve modifications to meet our client's meeds. PR Valves provides the following valve modifications: Coatings, Conversions, Flang Ups, Hydro Testing, Packing Changes and Trim Changes. PR Valves understand that there are times when valves from a company's standard range may not be ideally suited to a particular application. PR Valves provides a wide range of valve materials to meet our client's meeds. PR Valves provides such valve matrials such as: Steel -C9, C5, C12, Cast Steel, Chrome Molly, Forged Steel, F11, F22, F5, C6. Stainless - 304, 316/L, 321, 347, Brass, Cast Iron, Ductile Iron, Duplex Stainless, Hastelloy B & C, Monel, PVC. Actuations - Electric, Hydraulic, Pneumatic. We also offer our Multiport range of valves in carbon & stainless streel as well as the above upon request. *The manufacturers listed here do not all support PR Valves, LLC as a distributor or representative.